I hear it more and more as time goes on. “I’m seeing fewer deer.” That’s something I hate to listen to. Because of the root cause, I know there is no quick fix or simple solution to change it. There are many reasons why hunters might see fewer deer than they used to. Overharvesting animals. Disease outbreaks. Increased pressure. Habitat loss. Increased predation. The list goes on. But what most people don’t realize is that the No. 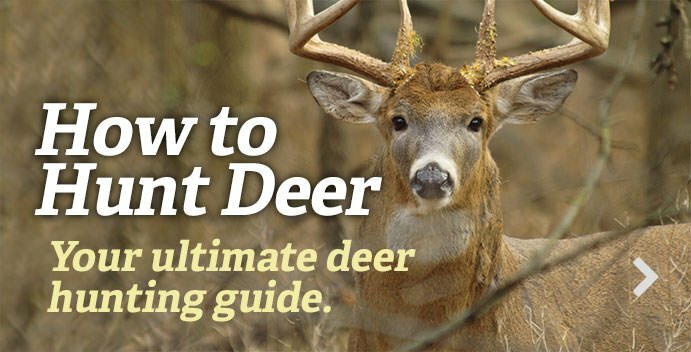 1 reason we’re seeing fewer deer (in most places) than we used to, is because of predation. And I’ll go to bat against anyone who disagrees with me. Sure, there are pockets where it’s overharvest, disease and/or other factors that caused the decline. But for most places today, it’s predation — mostly coyotes — that influences deer populations the most (even more so than hunting in some parts of the country). Coyotes aren’t native to the eastern half of the country. In fact, they weren’t found east of the Mississippi River until the early 1900s. According to the Quality Deer Management Association (QDMA), prior to that, coyote populations were confined to the midwestern and some western states. Then, between 1900 and 1950, they spread into the Great Lakes region and on into the northeastern states. Then, during the late 1900s and early 2000s, they spread from the southern plains eastward to the southeastern region of the country. So why did they spread so rapidly when they stayed (relatively) in place up until the last century? That’s a good question. Many factors likely contributed to the cause. As wolf populations declined, coyotes spread to inhabit areas their larger cousins once controlled. Also, this was around the time many eastern states began restocking deer. So it’s possible the coyotes followed the deer. There are some theories that go as far to say that our own man-made bridges across major rivers like the Mississippi helped them to spread. Regardless, spread they did. There is a lot of data to show that coyotes aren’t only a factor in managing deer herds, they’re also capable of destroying populations of whitetails over time. Charles Ruth, a deer biologist with the South Carolina Department of Natural Resources (SCDNR), has conducted a lot of research to prove coyotes’ effects. Charles Ruth, John C. Kilgo, H. Scott Ray, Mark Vukovich and Matthew J. Goode spear-headed an extensive study on the 78,000-acre Savannah River Site to show this. Of 70 collared fawns that were killed, 49 of them died within the first three weeks of birth. The other 21 died between week four and week nine, with fewer deaths each consecutive week. The point: Coyotes are having the greatest effects on young fawns. And they kill enough of those fawns to send shockwaves through entire deer populations. These are lasting effects. According to Dr. Karl Miller, a whitetail biologist with the University of Georgia, fawn mortality, coyote food habits, correlational data, and removal studies all show that these canines are having a significant effect on deer populations throughout most of the country. According to QDMA’s 2016 Whitetail Report, not a single state in the eastern half of the country has a decreasing coyote population. They’re thriving. While coyotes can and will kill adult deer, it’s the fawn crop they’re killing off. So as you might imagine, they’re having the greatest effects on younger deer. And there in lies the problem. The five states with the lowest fawn recruitment rates are Rhode Island (0.20), Oklahoma (0.30), Florida (0.40), Virginia (0.40), and Arkansas (0.41). Each of these states have increasing or stable coyote populations, too. Coincidence? I think not. The five largest declines in fawn recruitment from 2005 to 2015 were Illinois (-0.15), Maine (-0.16), Wisconsin (-0.24), Maryland (-0.24), and South Carolina (-0.29). And each of those states have increasing coyote populations as well. An Ohio study recently showed that bowhunters saw three times the coyotes from the stand in 2011 as compared to in the ‘90s. They're experiencing declining fawn recruitment rates, too. According to the QDMA, the total reported deer harvest in the United States in 2000 was 7,351,866. That number dropped to 5,969,180 in 2014. That decline matches up almost perfectly to the increasing population of coyotes throughout the last 15 years. Again, coincidence? Highly unlikely. Interestingly enough, even though deer in the northern states have lived with coyotes longer, coyotes are becoming less efficient there than in the South. Fawn mortality due to coyotes is often two or three times as high in the South as in the North. Why? Because white-tailed does in the North are learning how to better protect their fawns from predators. Also, many of our forests are maturing in the South (even more so than in northern states), lending to less early successional growth to hide fawns in. Recent studies have proven that hunting is not an effective method of managing coyotes in most cases. However, trapping is an effective removal strategy. Kip Adams, a biologist with QDMA, shed some light why this is the case. "Research shows you have to remove about 75 percent of a coyote population annually to cause it to decline (because they recruit so many pups annually)," Adams said. "Given the necessary removal rate, I said hunting is typically not an effective method of reducing their numbers in the eastern U.S. This is because they are hard to kill and you simply can’t kill enough to make a difference in population numbers. In more open country (like the western U.S.) I think you likely can kill enough via hunting, but I don’t think it’s possible in the East. In areas in the East where there are a lot of dog hunters, they might be able to kill enough coyotes if they hunt a lot, but the average deer hunter (or deer camp) isn’t going to make a dent in the coyote population. Trapping is a far more effective technique to reduce coyote numbers in localized areas." Miller recently shared with me just how effective trapping truly is. According to Miller, Dr. Beasom conducted coyote-removal research in 1974 on a 5,000-acre South Texas ranch. In the no-removal area, Miller said Beasom reported fawn recruitment rates of 0.32 fawns per doe. He said Beasom recorded recruitment rates of 0.82 fawns per doe in the coyote removal area. That’s a big difference. According to Dr. Miller, in 2009, Dr. Howze and Dr. VanGilder experienced similar results in southwest Georgia and northeast Alabama, respectively. Click here to hear Miller explain how to predator-proof your property. For trapping to be effective, you must trap from just prior to the fawning period all the way through summer. But this is a problem because many states don’t allow trapping during the warmer months. So in essence, many of our state agencies are hindering themselves when it comes to helping deer populations. I don’t say that to offend anyone. It’s just the truth. Contact representatives in your state if you desire to see trapping seasons in summer. Beyond coyote removal, we have to create better habitat for fawns. Selective-cut logging, allowing old fallow fields to grow up, and planting native grasses and forbs are all ways we can provide more bedding cover and food sources for deer. Unfortunately, coyotes aren’t the only problem whitetails face. Other predators such as bears and bobcats are having a significant impact on deer. Disease is another factor. Chronic Wasting Disease continues to spread across the country. Epizootic Hemorrhagic Disease continues to hurt populations. Countless other diseases threaten whitetails on a daily and annual basis, too. Habitat loss is a serious threat. Needless to say, deer are fighting on a lot of fronts. And coyotes are leading the charge against them. According to Ruth, it’s too late to just try to manage predators. We also have to change what we do as hunters. It’s sad. But it’s the future. Does that mean we must kill fewer deer from a hunting standpoint? Yes, it does. That’s a hard pill to swallow. But swallow it we must. There’s a new player in town. It’s called the coyote. And until deer hunters pony up and take a stand for deer by managing coyotes, too, it will only get worse. Have coyotes killed deer hunting yet? Not yet. But will you let them? Editor's note: This article was originally published July 2, 2016.